In today’s society, credit cards are a way of life for many people. Consumers don’t hesitate to whip out their card at stores, restaurants, or even online to purchase items. It’s an easy and convenient way to buy goods and services. However, carrying and using a credit card isn’t without its risks. Credit card fraud has affected 47% of Americans in the past 5 years. That’s alarming, especially if you are one to use credit cards frequently. To stay aware of the risks, let’s take a look at four common ways that your credit card information can be stolen. A common way people get your card information is through devices called skimmers. A skimmer is a device that people can place on ATMs or gas pump card readers that will take your card information when you scan it to make your purchase. Your purchase still goes through, but now someone has your information as well. Some people carry skimmers around with them. This is especially useful to people with service jobs like a waiter or waitress. When you give them your card to pay for your meal, they can take it to the back and use their skimmer to get your information, then process your payment through the restaurant, and you have no idea what has just transpired. It’s important to be aware of the devices you are scanning your card into. 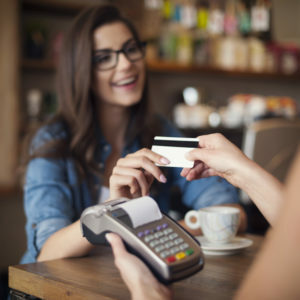 If you see something off or different about the card reader you are about to use, alert the owner of the business you are at, because it’s likely a skimmer has been put into play. We’ve talked about phishing before, but it is another very common way people can get their hands on your information. Phishing is when someone sends you an email or calls you saying they are from a reputable company (one that they know you use regularly), and they need you to give them your credit card or your social security number for a certain reason. Sometimes their claims can sound legit, and they usually make their emails look official–like they really are from the company they claim. However, it’s all a ruse to get your info. If you don’t know about phishing, you might give them all your personal information, and then they have it to do whatever they please. The bottom line here is be very aware of who is sending you emails. Never, ever give your personal information over email or the phone. If you suspect the email isn’t a real message from the company, call the actual company and question them about your situation. It’s much better to double check and find out they were real than to give out your information to a thief. Another common way for thieves to deceive you into getting your information is through spyware. If they can get spyware installed on your computer, they can pretty much see everything you do online. They can record your keystrokes, track your online activities, slow down your device, and some can even take over your computer. If they monitor your online activity and keystrokes, it’s only a matter of time before they get all of your personal information, including your credit card information. It’s very important to keep a really good antivirus software on your computer to ward off anyone trying to install spyware. That’s really the only thing you can do to avoid this scam. With all the high-tech capabilities for stealing someone’s information we’ve talked about so far, there are some old-fashioned people who will literally dumpster dive for your information. They will go through trash cans, dumpsters outside of businesses, and anywhere else they think they can find credit card information that has been discarded. This is why it is always a good idea to shred credit card receipts, statements, offers, and anything else that has to do with your identity or your financial records. Desperate times call for desperate measures, and some people are desperate for your information. It’s always a good idea to keep a close eye on your credit card statements each month. If you see that you have activity on there that you did not initiate, it’s time to go into recovery mode. If you keep a close check on all your accounts, you can likely head off a problem before it becomes a disaster. As you can see, some people will stop at nothing to get what they want, and you don’t want to be caught in the crossfire. Identity theft is becoming more and more prevalent every year. When a person finds out that they are a victim of this heinous crime, it can be a very stressful and scary time in their lives. 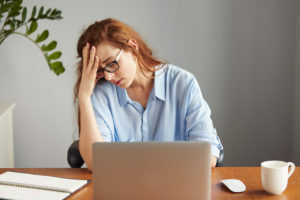 Identity thieves can wreck a person’s credit history, cause financial ruin, make a mess of medical records, and sometimes make a person seem liable for a serious crime. It’s not a problem to take lightly. Notify your creditors and your bank. It’s important to stop the fraudulent activity as soon as possible. Call all your credit card companies and your bank and put a stop to any further transactions until you get your problem resolved. Issue a fraud alert for your credit report. If you contact just one of the three major credit reporting agencies, a fraud alert will be placed on all three reports. These alerts usually last 90 days. Check your credit reports thoroughly. If you place a fraud alert with the credit reporting agencies, they will send you a free copy of your credit report. When you get that report, comb over every detail with a fine-toothed comb. Make sure that every account opened, every line of credit, and every credit card are ones that you personally opened. If you have any fraudulent activity on any account, contact that company immediately. Also make note of the unique account number on the report so you will have it to help with future communications about your identity theft. It’s important to check your credit report throughout the coming year as well to make sure any extra fraudulent activity doesn’t occur. Contact the Federal Trade Commission (FTC) and your local police department. Fill out the FTC’s ID Theft Complaint Form from their website and print a copy to keep for yourself. Also contact your local police department as well as the police department where the ID theft happened, and fill out a police report on the crime. Give as much information as possible on these reports to help the investigators. Send your FTC ID Theft Report to your creditors and the credit reporting agencies. This will help them as they conduct their investigation and will help them ward off any further fraudulent activities. Change passwords. Change every account password you have online. Make it something difficult to guess, but easy for you to remember. Also, don’t use the same new password for every account. Contact the Social Security Office. You may need to solve some issues with your Social Security Number since you have been a victim of identity theft. Notify the Social Security Office and let them know about your situation, and they should be able to tell you the next step concerning your Social Security Number. As you can see, identity theft is a serious situation, and recovering from it can seem like a daunting task. The minute you realize you have been a victim, it’s important to start these steps to recovery. They should get you on the right path to gain your life back. The holiday season is upon us! It’s time to trim the tree and shop for gifts. During all the hustle and bustle of this season, it’s important to keep a vigilant watch out for scams. Christmastime is the most notorious time of year for money scams, and if you are a victim of one, it can be potentially devastating. For some people, gift cards are the perfect Christmas gift. It’s quick, easy, and it lets the recipient buy whatever their heart desires. If buying a gift card is on your shopping list this year, it’s best to buy them directly from the store and get it from the cashier. Online gift card discount and auction sites can be fraudulent. Either they take your money and you don’t receive the intended gift card, or you receive the intended gift card, but it was stolen or doesn’t have the amount of money on it that it should. Likewise, buying gift cards from the huge kiosks in general grocery stores can be a gamble too. There is a scam where people take the codes off many of the cards so they can use them online. You then buy one of those cards and they are not usable because the codes have already been used. You are out money and have nothing to show for it. So, again, it’s best to get one from the actual store you want the recipient to purchase from, and get it from the cashier. We’ve talked before about the perils of public wi-fi and how you shouldn’t use it for paying bills or checking bank accounts. Now there is a new reason to be wary of your friendly coffee shop internet services–the Twinned Wi-Fi Scam. This is where a person can make a new wi-fi signal that looks exactly like the complimentary one at the location where you are. You click on that one, thinking it’s the right one, and now the hacker has all of your information on your computer. It’s a scary thought, but that’s why it is important to only use encrypted sites and never enter your credit cards, go online shopping, or check your bank accounts over public wi-fi. Online shopping for Christmas gifts has become huge, mostly for its convenience of being brought directly to your doorstep. If you are a person who likes to shop online, beware of the Package Delivery Scam. This scam will send you an email with a subject line that says something similar to, “USPS Failed Delivery Notification.” When you click to read it, it will tell you there has been a failed attempt to deliver your package or that your package was intercepted at some point. It then gives you a link to click to find out when you can expect your package. If you click this link, you will download a virus onto your computer that can gain access to all your private information. It’s scary because these emails don’t look sketchy–in fact, they look official. This scam isn’t just the USPS either, it has been seen with UPS and FedEx as well. The best thing to do in this scenario is to think rationally through your online purchases. Are you even waiting on a package to be delivered? If so, did you get tracking notifications about your purchase? Go to the tracking website and see where the official tracking number has your package. If it doesn’t say anything is wrong, you can be assured the Failed Delivery Notification email was a scam. If you are unsure, you can always call USPS, UPS, or FedEx and ask about your package rather than taking the email at face value and clicking on the link. Just think it out and be aware that this scam is out there. 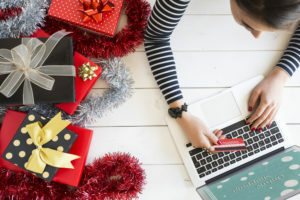 Now that you know some of the common holiday shopping scams out there, you can be more wary of where you do your business. It’s important to keep a watch out for scams all year long, but it seems the holidays really amp up people’s attempts to steal your money and information. Just be careful and use your head when shopping, and you should be able to avoid these scams this year. 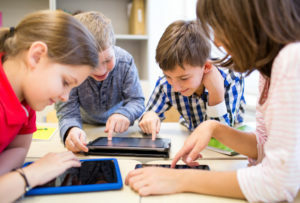 Kids today use the internet for everything, and why wouldn’t they? There is information for every subject known to man at their fingertips! While it’s wonderful that the younger generations now have access to so much knowledge; it doesn’t come without risks to their security. Most adults know that there are certain rules of the online world that need to be taken seriously, but how do you teach your kids these rules in ways they understand? Here are just a few tips about cyber security that your kids need to know to stay safe online. The first rule of thumb about online safety kids need to know is to never share your passwords with anyone. Kids like to talk, and if they don’t know that sharing passwords with their friends is not smart, that’s exactly what they are going to do. It’s important to teach your kids that passwords are private and meant to be kept to yourself. Additionally, it’s just as important to teach them how to set up a unique password that no one can guess. Also, enforce the rule of changing passwords every few months so that it will form a habit that will hopefully stick with them for their entire lives. Most kids are notorious for leaving things behind and forgetting their belongings. It’s crucial to teach your kids to be extra careful not to leave their phones, tablets, or other mobile devices out in public unattended. Malicious people are always on the lookout to steal devices because when they get one, they have unlimited access to personal information. Teach your kids the importance of keeping their mobile device in a secure place. Social Media outlets can be great for many things, but only if they can be used with responsibility. Many social media platforms don’t let kids under the age of 13 have an account, but some parents give permission to younger children anyway. The major social media concerns for kids usually revolve around some sort of bullying or stalking. It’s important to teach your kids not to accept friend requests or followers if you don’t personally know them. Also, as a parent keep a close check on all your child’s accounts by logging into them every few days. Set their privacy settings on all of their accounts to the highest possible. Another tip is to turn off the locations on all their devices so people can’t track them. Likewise, teach them not to give out their location when they are posting so people can’t follow them. Kids don’t realize the dangers of social media, they just see it as a fun way to interact with people. It’s a crazy world out there–help keep them safe by teaching them the dangers of social media. We’ve talked about “phishing” scams on email before, but do your kids know what that means? Teach them not to click every link that comes through their email or social media page. Show them the importance of knowing where and who the link came from before clicking. Randomly clicking unknown links can open your child (and you!) up to a whole world of leaked personal information and possibly a stolen identity. It’s best to be aware of emails that sound scam-my or too good to be true. As with anything in life, being a good steward, being kind, and being respectful will get you far. The same is true for the online world. Teach your kids to treat others with respect online by not participating in cyber bullying or any other sort of negative post. Show them how to be very, very selective with what they post on their personal social media channels, because what they put out on the internet lasts forever. These tips are just a few of the ways to get the online safety conversation started with your kids and teens. If you teach them these few basic tips, they will be set up to continue practicing online safety when they become adults.